Rice rolls, char siu bao (steamed pork bun), har gow (shrimp dumpings) and siu mai (pork and shrimp dumplings). 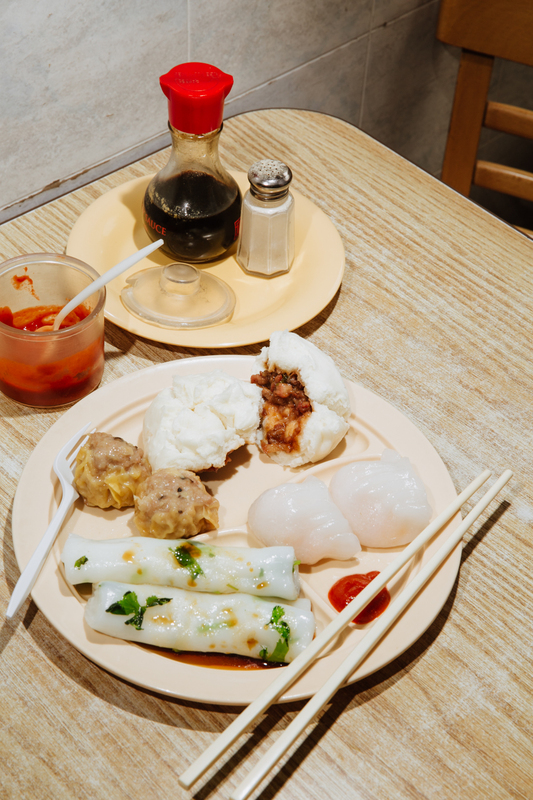 Dim sum can be a production -- a weekend meal with the family that can last a few hours. 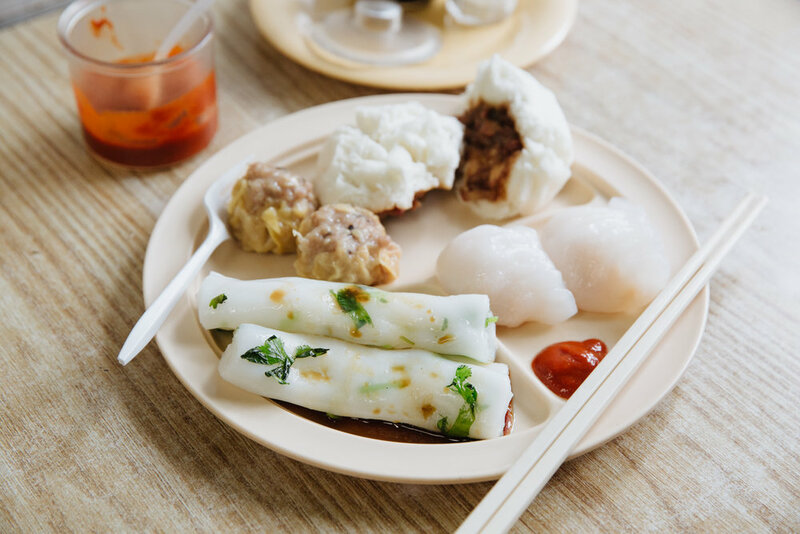 Yummy Dim Sum & Fast Food makes dim sum an accessible everyday habit. It’s less glam, more grab-and-go -- but all the while satisfying. Zhong Hua Huang took over the space in 2011. He’d studied with a dim sum master for a year in China and the rest of it “came from the heart,” he said. His kitchen is constantly in production to produce round after round of dim sum to be enjoyed by tourists, parents picking up lunch for kids or locals looking for a quick meal. All of their dim sum is under $2 and their rice plates with three sides go for $4.75. Their most expensive item is Beef Noodle Soup, running around $5.50 (including tax.) One of their most popular dishes is the Chow Fun, steamed rice noodles, rolled with Chinese parsley and doused in soy sauce. Though surprisingly simple, it can make a good meal or snack. Get it for take-away or eat it on their peach-colored melamine plates.